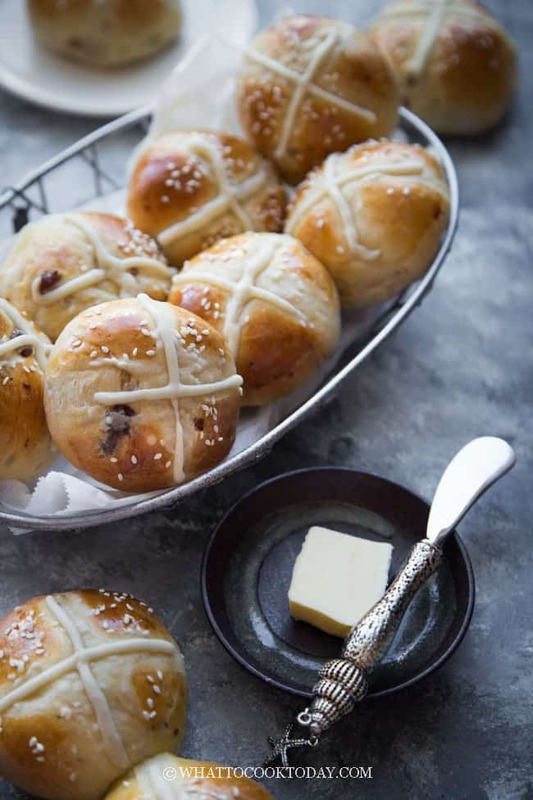 Traditional baked hot cross buns are made with tangzhong method to give you the softest fluffiest buns ever. The only method I like to make bread and buns. 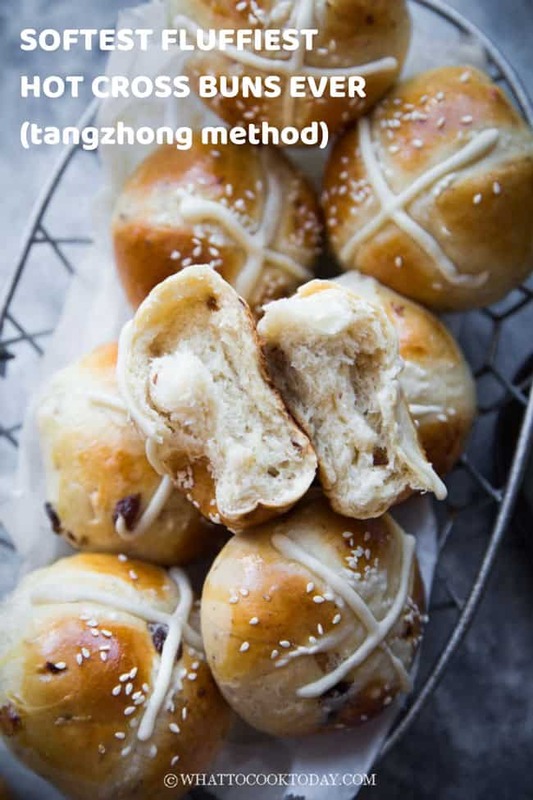 Ever since I knew about tangzhong method, that’s pretty much the only method I use to make my bread and buns these days. I literally swear by it! 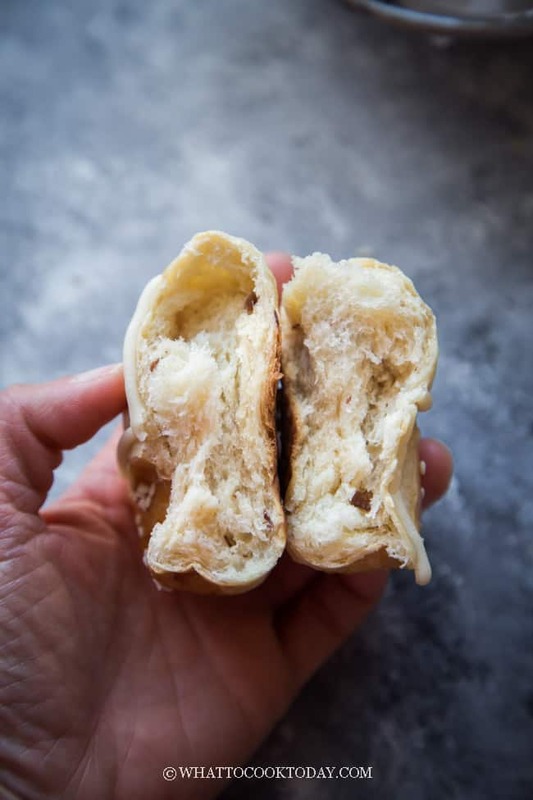 I wrote in detail about this tangzhong method in this How To Make Soft and Fluffy Hokkaido Milk Bread (tangzhong and autolyse method) in case you are interested to read more. I will not bore you with the same information in this post. 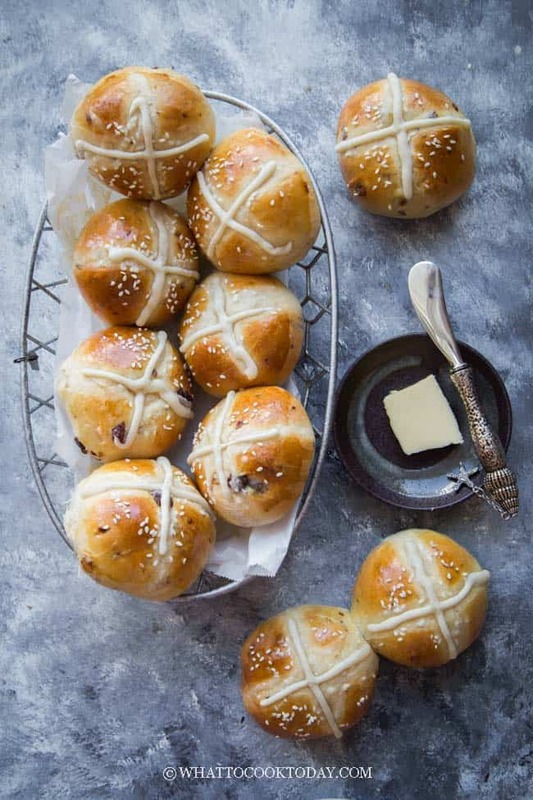 I pretty much use the same basic dough with some little modification to make it into hot cross buns for the upcoming Easter. 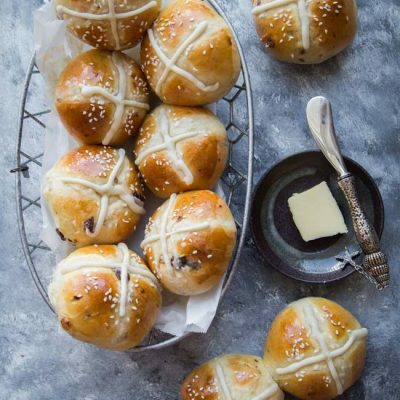 In this recipe, the cross is made with only two ingredients: all-purpose flour and water. 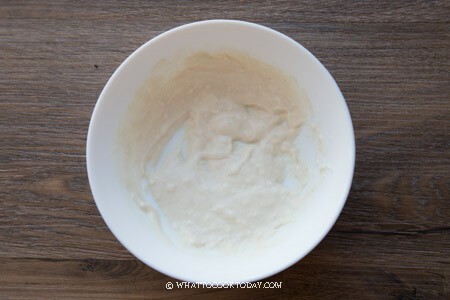 They are mixed together to form a paste. Now you can adjust the amount of water to make it thicker or runnier. There’s no right or wrong here. 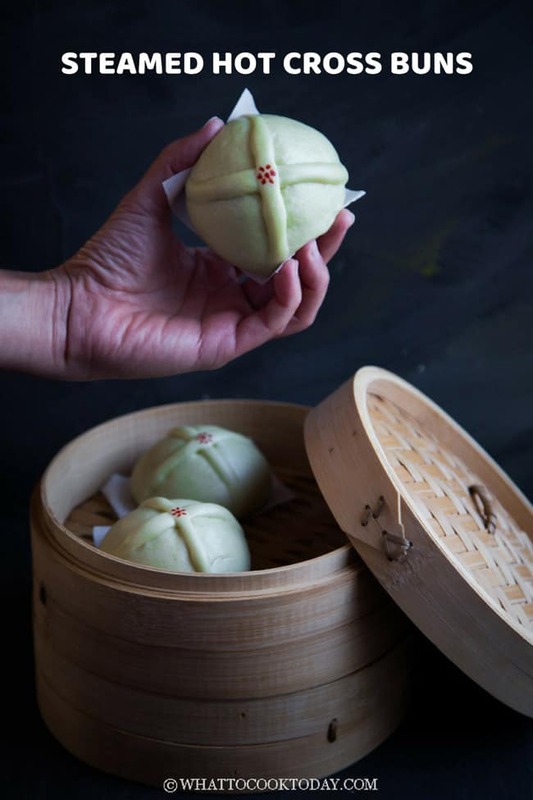 Runnier paste will blend into the buns after baked, while thicker paste will be more visible on the buns. I actually did both, runnier and then thicker paste as you can see in the photo. 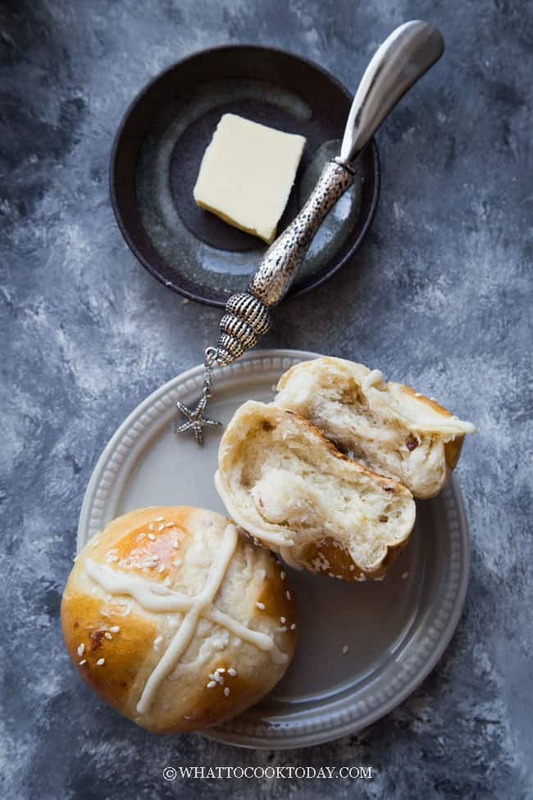 Shown here is a more “runnier” paste that I could drizzle with a spoon on top of the buns after brushing with egg wash and sprinkle with white sesame seeds. So, it’s really that simple! 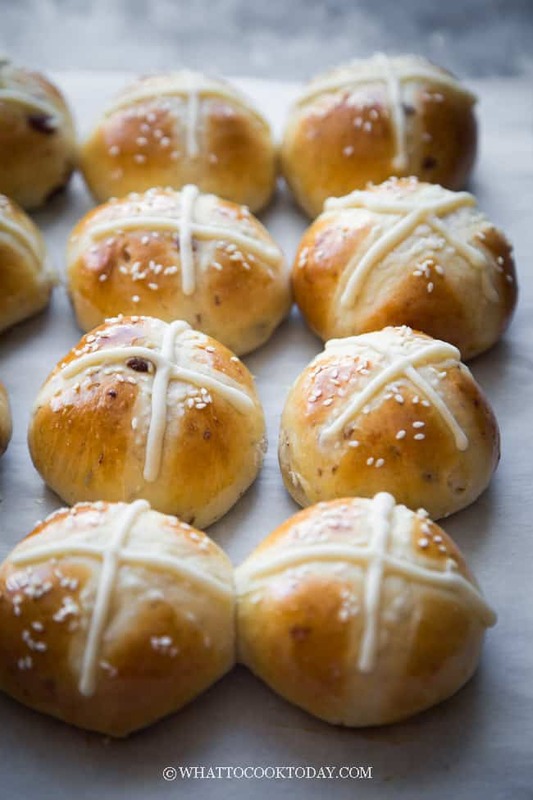 Some people use icing to draw the cross on hot cross buns after the bun is baked. 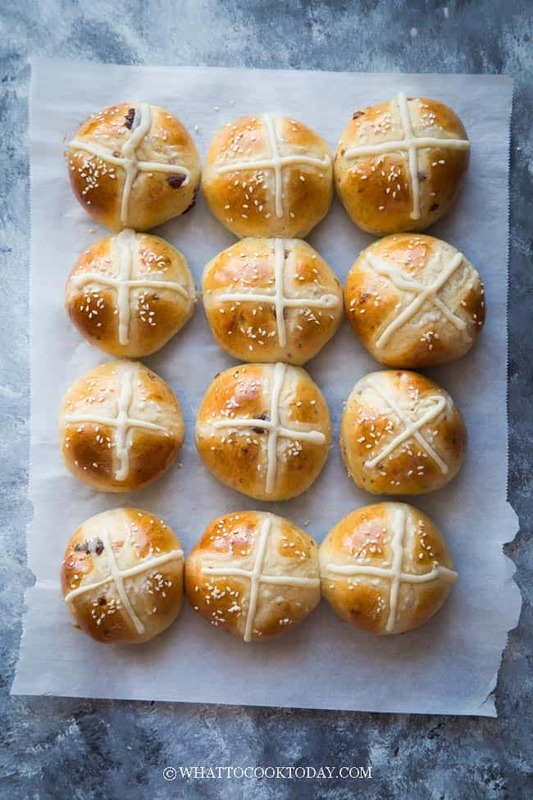 It’s really up to your imagination 🙂 I actually want more visible crosses and so halfway baking (after 15 minutes of baking), I quickly made another thicker flour paste to draw on top of the runnier paste 🙂 That’s why you see one more faded cross and the other one is risen. Once you have a smooth dough, turn the machine back on again to knead and gradually add in the softened butter a bit by a bit. 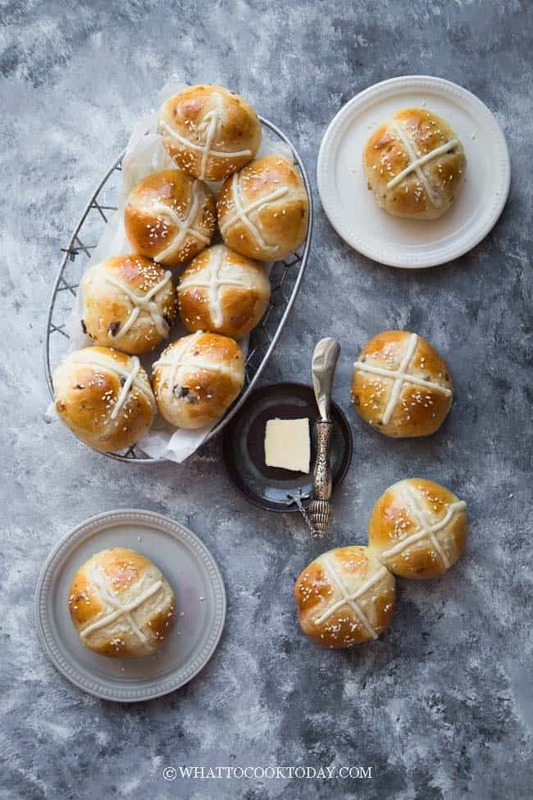 The dough will turn into a REAL sticky mess again because of the butter, just keep kneading and stop halfway and scrape the dough off the hook and bowl again and continue to knead until the butter is absorbed by the dough. IT WILL HAPPEN, don't worry! 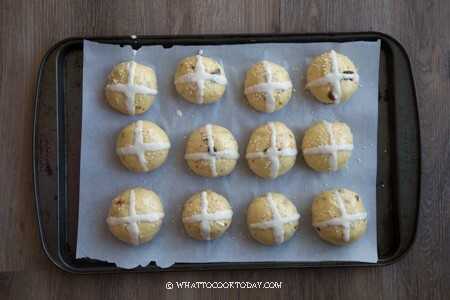 DO NOT be tempted to add any extra flour. 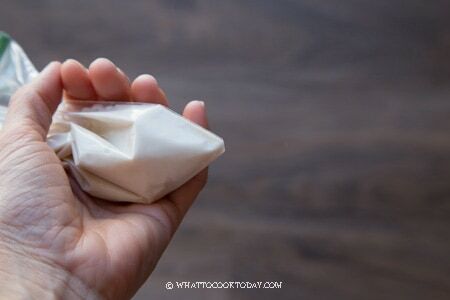 You will get a shiny smooth dough that is very elastic. I promise! 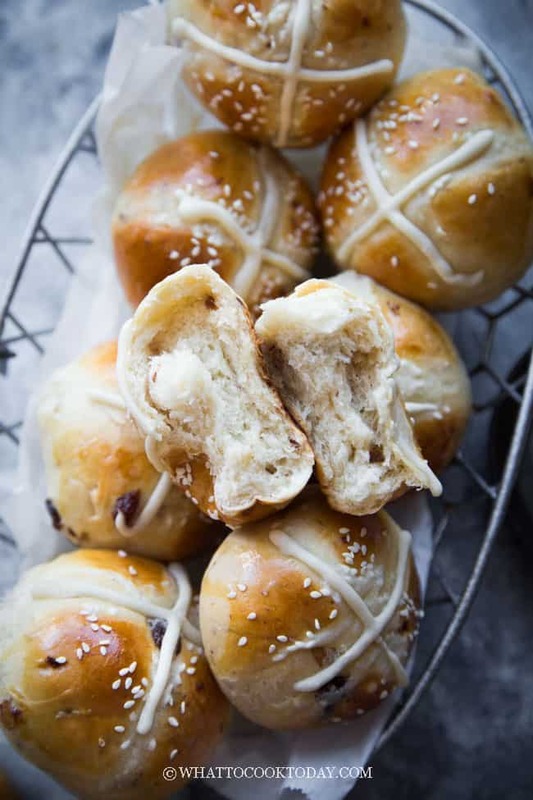 The plain buns without topping can be kept at room temperature for about 3 days. Wrap them up with plastic wrap tightly.